Arbor Care is well known for tree care and tree saving. We know trees have a biological requirement to grow same as us. Our tree preservation services will let you relax about your tree care. We are providing tree planting, pruning, trimming services as well. Arbor Care has taken many tree preservation and tree transplanting jobs for Millennium Park, McCormick Place, Northerly Isle and many other local builders and national developers. Our Tree conservation programs covers almost all Midwest to Florida. 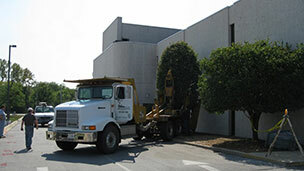 Feel free to call us (815) 469-6061 for all your tree preservation requirement.